If pollution, extreme weather conditions and chemical based skincare products have left your skin dry and damaged, then Skinception Microderm Facial Exfoliator is all what you need to get your glowing and healthy skin back. It is a natural exfoliation system that helps remove dead skin that clog pores and makes skin look dull and aged. 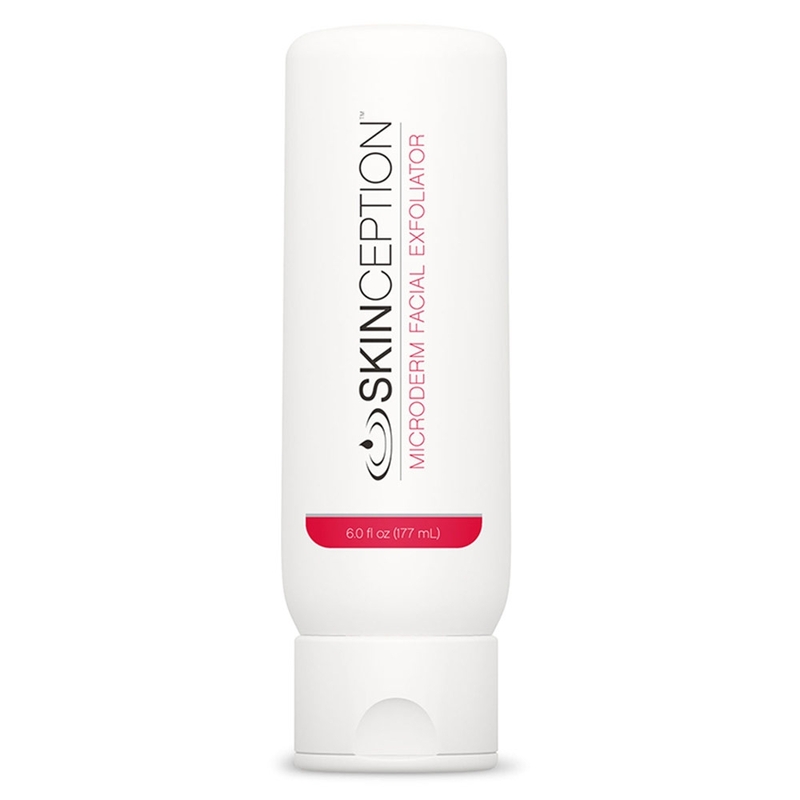 Unlike other exfoliating products, Skinception Facial Exfoliator won’t irritate your sensitive skin. With this exfoliator there is no need to scrub your skin or use chemical peels that leave you with red skin. Using Microderm Facial Exfoliator two to three times a week is all you need for a vibrant complexion and blemish-free appearance. What is Skinception Microderm Facial Exfoliator? Microderm Facial Exfoliator from the house of Skinception is nothing like other exfoliating products available on the market. It is a natural exfoliation system that penetrates deep into the skin to speed up the natural regeneration process. Is exfoliation important for skin? Like cleansing, toning and moisturising, exfoliation is also essential to maintain healthy glow of your skin. Skin naturally sheds billions of skin cells each day and replaces them with new cells. As we age, this natural regeneration process slows down or stops completely. Apart from ageing, sun damage, extreme weather conditions and harsh chemical skin products also affect the regeneration process, leaving your skin dull, dry, or blemished. Using Facial Exfoliator is essential to remove the dead skin cells and unclog pores, smooth out wrinkles and restore the skins natural glow. How will this Facial Exfoliator benefit my skin? 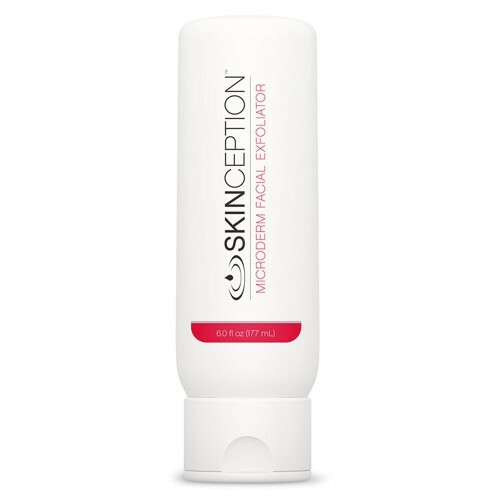 Skinception Microderm Facial Exfoliator removes the dead skin cells that build up on skin and clog pores, causing acne, dark spots and scaling. Formulated with fruit enzymes and extracts, this exfoliating system helps you achieve healthy facial skin, reduce dark spots and blemishes and hydrates skin. Microderm Facial Exfoliator is different from usual exfoliating products like scrubs and chemical peels. There is no need of scrubbing it on your delicate skin. Just apply it over your clean and damp face. Use fingertips or a cosmetic pad to massage into your skin. Massage in an upward, circular motion. Leave it on for 15 to 20 seconds and then rinse it off with tepid water. For optimal results, use it 2 to 3 times a week. Follow with a suitable moisturiser to keep your skin hydrated. Don’t forget to wear sunscreen if you are stepping out. How can I order it now? It is easy, secure and convenient to order Skinception Microderm Facial Exfoliator with SkinCareTotal. Simply click on ‘Add to Basket ‘option and proceed to payment page. For a free next day delivery, place your order before 4 pm on any working day.